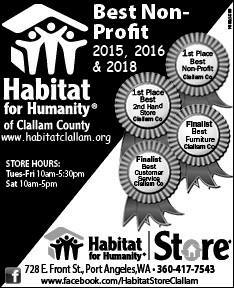 Many great things happening at The Habitat Store! Gift certificates for all your gift needs-Mother's Day, graduation, etc. Spin to Win sale for Memorial Day on Saturday, May 26th. The Store will be closed Tuesday, May 29th in observance of Memorial Day. We will re-open Wednesday, May 30th at normal business hours. 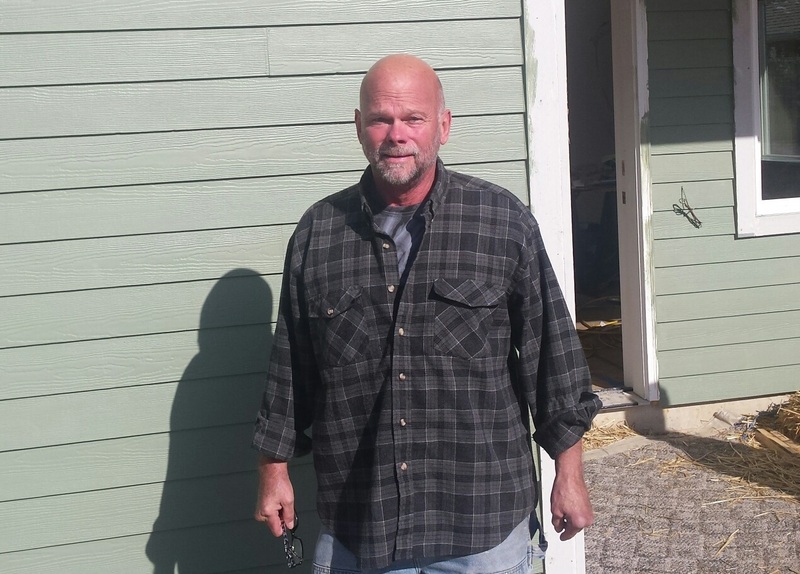 Habitat for Humanity of Clallam County Store is very pleased and would like to welcome Ian Jones. Ian Jones is joining us to fill our open position as a truck driver. His first day was April 4th, 2018. Originally from Ohio, Ian moved here about 5 years ago. Ian has experience driving moving trucks, went to Auto Tech school, is a welder, has a degree in business administration as well as a novice gardener and backpacker. Ian has served many years in customer service. We are delighted to welcome him to the Habitat team. If you see Ian around the store, please make sure to stop, introduce yourself, and welcome him to the company. He is very excited to join his new “teammates”. Volunteer cashiers needed at the Store. Please contact Sarah for details. We had the pleasure of working alongside some wonderful people from the Port Angeles Red Lion for 2 days of construction. Thanks so much to Tom, Stephan, Austin, Michael, Arthur and a special Thank You to Veronica for rallying the troops! There are many ways besides volunteering on a build that you can get involved with Habitat. Take a look at some of the more creative examples. Jim is a long time resident of Port Angeles. He has worked at the paper mill and also as a floor installer. Now retired, he volunteers at our buildsite on a regular basis and is a major asset to the team. Thank you for your service, Jim! Thanks to all who attended, donated and participated we were able to raise over $26,000 at this year's A Taste of the Peninsula! 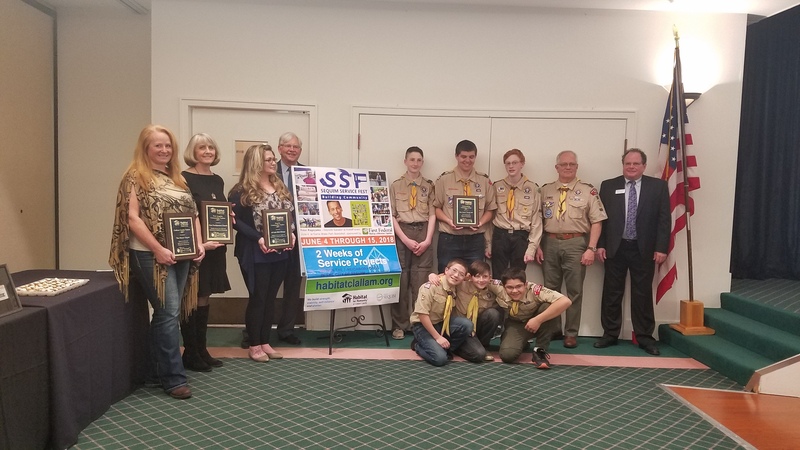 We were honored to celebrate our 2017 Community Partners!